GRAYBOX is a digital consulting firm that helps companies solve technical challenges, reach audiences and optimize operations with elegance, utility and expertise. They partner with businesses to bring success in a digital-first world — helping companies captivate customers online and off with measurable results. GRAYBOX is a Portland web development firm, started in early 2009. They build intentionally designed integrated campaigns and digital solutions with the marketing and content to back it up. Services include business operations consulting, branding, and the creation of results-driven apps and sites. GRAYBOX builds relationships with each client, learning each business’ unique needs and investing in their long-term success. Clients provide puzzles the GRAYBOX team is keen to solve, and each project further prepares them for the next challenge and opportunity. Visit the GRAYBOX website to learn more. Run AMZ is a digital marketplace consulting and management firm that helps companies take control of their sales channels. Many businesses see digital marketplaces like Amazon as a confusing mystery that can bring in additional sales but can also invite a minefield of pitfalls that could negatively impact sales. 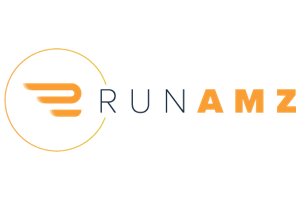 Run AMZ takes out all the inefficiencies of working with digital marketplaces and puts companies on the most targeted path to selling successfully directly to customers. No more intermediaries, no more retailers – Run AMZ helps businesses take control of their ecommerce sales. Check out the Run AMZ website to learn more. Businesstastic makes running businesses online easy. This company was started to offer agency quality work to companies needing a professional, polished web presence but with less sophisticated digital requirements. Businesstastic provides companies with website-building tools that include a holistic set of digital solutions to make businesses efficient, nimble, and in control. Their set of technologies and tools were built specifically to to simplify the experience of owning and maintaining a website. Once sites are built, Businesstastic partners with clients to provide long-term support as needs evolve. Businesstastic is run by a team of professionals who provide digital system consulting and business operations. They are 100% committed to making business owners’ lives easier. That’s why the Businesstastic team speaks with every client individually and works tirelessly to provide excellent support. Their service is straight-forward and packed with value. Learn more on the Businesstastic website. We want to hear your ideas. We've got ways to help. © Digital Industries, Portland Oregon 2019. All rights reserved.